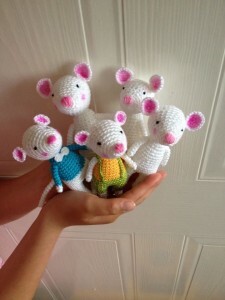 This entry was posted in Mice and tagged amigurumi, crochet, doubletrebletrinkets, mouse, pattern. Bookmark the permalink. gracias por subir instructivo de los ratoncitos estan preciosos – estoy haciendo uno. Love your animals. Heck, your work…period! Thank you very much my mentor! !